On 6 December 1914, revolutionaries Emiliano Zapata and Pancho Villa took control of Mexico City. Over a century later, a group of rural actors will seek to relive that glory. As they make their way through Mexican towns from their home in Quebrantadero, Morelos, to the capital city, members of the troupe find themselves confronting the past as well as the present. Recurring parallels force us to wonder just what has changed in a hundred years' time! 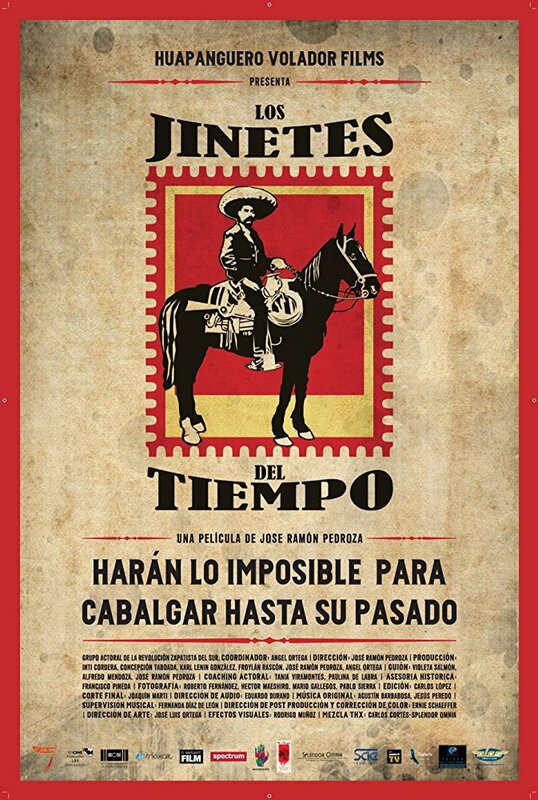 Time Riders is a documentary that goes beyond the mere commemoration of a significant event from Mexican life. It is the portrait of a journey, rife with clashes and at times, similarities-between the past and today's realities. It is a reminder of the Mexico that was and that all Mexicans are. It points to what Mexico will be in the future.